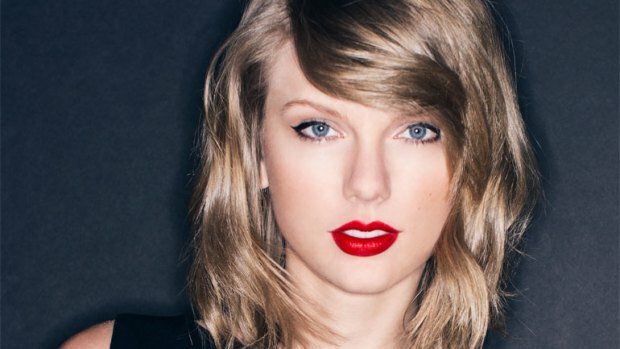 Since she released her first album in 2006, Taylor Swift has steadily become the most popular musician on the planet. Her most recent album, 1989, was the bestselling (non-Frozen) album of the year, and she continues to roll out #1 singles. And there’s a reason she’s beloved: None of her five albums have been bad, and she has an astonishingly high rate of great songs. She’s known as a pop icon, but her appeal really comes from meshing the instant appeal of pop (and pop-country) with being a “singer-songwriter.” Like other artists bearing that moniker, Taylor has a distinct voice and a confessional bent. She has a writing credit on all of her songs and sole writing credit on a healthy portion of them. In nine years, she’s already built a large and varied catalog of great songs. In honor of her success and the enjoyment her music has brought me over the years, I’ve picked my favorite songs by Swift and ranked them. There are some other great ones, but these are, in my mind, the essentials. I’ve also decided to mention a few high-profile songs by her that didn’t make it on the list for one reason or another. One of Taylor’s hookiest tracks, but one of her dopiest. Her detached, ironic voice is always irritating, and these lyrics fail to capture the millennial spirit the way she hopes. It’s hard to be too annoyed when the chorus is this huge and catchy, though. A strange track that I had trouble figuring out where to place on this list (or whether to even include it). In her attempt to capture the magic of music from the mid-late ‘80s, she commandeers freakish paranoia from the likes of Jacko and “Somebody’s Watching Me” into an anti-paparazzi anthem. It’s an intriguing and unique feel for Taylor, but definitely not her best. I love the chorus, but the backdrop of vocal grunts is bizarre and awkward. Its lyrics are bland, but the hooks in “Tell Me Why” are some of the catchiest from Swift’s early career. It pushes Taylor’s vocal range, and is one of my favorite Swift songs to sing along with. Co-written with legendary singer-songwriter Imogen Heap, “Clean” closes out 1989 on a high note. Swift and Heap craft a three-part metaphor: rainy absolution, going sober, and getting over a boy. The haunting “ohh”s in the background are paired with a gentle, plinking production, making it one of the most soothing tracks on 1989. Taylor supposedly wrote this at the eleventh hour of the Fearless deadline just after a brutal breakup. It feels like a song that needed one more revision: The central hook is a good one, but it’s relatively simple here, so the song grates after a few listens. It’s a decent song, but not one of her best. This song is both great and awful. The simple composition and sugary production uses Taylor Swift less as an singer-songwriter and more as a “pop puppet” — to borrow a term Colton taught me — along the lines of a Katy Perry or a Britney Spears. 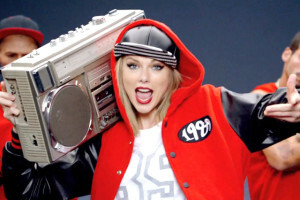 The song is repetitive and lacking in compelling harmonic progression, the lyrics are Swift’s “look-at-me-ism” at its worst, but damn if the hooks in “Shake It Off” aren’t infectious. The original “Teardrops” is a bit of a misfire, in my mind: an overproduced ballad that drowns the understated composition in tearjerking schlock. But the acoustic version on the Beautiful Eyes EP is a revelation: This isn’t a self pity-fest, but a smitten profession of unrequited affection. One of three songs on Taylor’s debut album on which Swift has the sole writing credit, “Should’ve Said No” is a remarkably mature and compelling song about a cheating boyfriend… especially considering Swift was no older than sixteen when she penned it. Throughout her career, Swift has frequently portrayed herself as a sweet, innocent girl. But some of her best songs are when she sheds that persona. Each of her last three albums have featured at least one song about getting lost in an tryst with a tempting, dangerous lover. In “Style”, Swift describes the beautiful looks and chemistry between her and her beau, then imagines driving away with him for a steamy evening. Ugh. Combining all of her most annoying tics with a simplistic pop tune and some awful spoken-word interludes, “Getting Back Together” is a headache. Thankfully, it went mostly unnoticed on her… Wait, what? It was her first #1 hit? This is a typo, right? Through her first three albums, Swift’s ballads were usually much weaker than her upbeat numbers. That trend began to shift in Speak Now, which has a few highlight ballads including the regretful “Back To December,” a beautiful look at an icy breakup that left a trail of heartache. 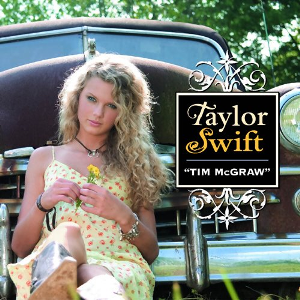 The first song on her first album, “Tim McGraw” sets a brilliant tone for Taylor’s career. True, it indulges in a few country-pop cliches (pickup trucks, faded blue jeans), but the thrust of the song is poignant: Swift uses her favorite Tim McGraw song as an emblem of her broken relationship. The most impressive part of the song may be how tender and composed Swift sounds, or it may be the fact that it actually sounds like it sounds like it came from a teenager. Either way, it’s a marvelous debut single. Taylor released “Mine” as the debut single for Speak Now presumably to show off her newfound adulthood. “Sparks Fly” would have been a much better choice in this regard: The composition and production are more intricate than anything on her first two albums, and the lyrics show a leap in her songwriting maturity as she details an electric affair. In one of her better pairings to date with pop mega-producer Max Martin, Swift bizarrely appropriates dubstep. But she makes it her own with a fiery vocal performance and some slick hooks. Unlike her weaker pure-pop tracks, “Trouble” finds room for Taylor’s evocative songwriting core, resulting in a song both fun and satisfying. In the tribute I wrote to Taylor’s career last year, I wrote about the clunky, aborted color metaphor in the chorus of “Red” (“Blue”… “Dark grey”… “Red” … “Trying to know someone you never met”??? I guess she ran out of colors). But I still think “Red” is one of the most charming songs on Taylor’s fourth album, and I have a slight preference for the raw production on the demo version of the song. Unlike some better songs on her debut, “Picture to Burn” drowns in its genre isms. Rednecks, pickup trucks, and a gay joke? One shouty hook in the chorus? Yep this, is the closest Taylor ever came to inane country-pop. As I write this, “Blank Space” has just been dethroned from #1 atop Billboard by the equally great “Uptown Funk.” I love “Blank Space,” which invokes a echoing production and vocal style reminiscent of Swift’s buddy Lorde. Though I’m not a fan of the self-referentialism of the lyrics, they’re at least well written: “You know I love the players / and you love the game” is more clever than all of the lyrics in “Shake It Off” combined. One of Taylor’s two or three signature tracks, if not quite one of her two or three best. The refrain is a bit inert, but Taylor’s imagining of puppy love through the lens of storybook romances is adorable and iconic. It’s a “Love Story,” so it had to end with a “happily ever after”: Many Taylor Swift songs end with a lyric mirroring itself from another character’s perspective, but this is one of the few times the technique really works. Are you sure you’ve read The Scarlet Letter? Simple but elegant. Swift has never written a more heart-tugging song about first love. She pairs a nice little tune with one beautiful image after another, capturing a truly romantic spirit that carries you away. Of all the mini-experiments that Taylor makes on 1989, this one is by far my favorite: A thumping, echoing production paired with a reflection on a steamy affair with a guy who is “handsome as hell.” It adds up to a unique track that sounds almost fatalistic. Lana Del Ray wishes she had recorded this song. A strong contender for Taylor’s worst song. Taking every tired cliche about The Big Apple, reciting them over a one-note “melody,” and adding a comically stale “techno” background… then using the result as the big opener for her new album? It’s a bold strategy, Cotton. Lest any of you doubt the range or emotive potential of Taylor Swift as a songwriter and performer, give a listen to “Safe and Sound.” A ballad about losing someone close to you, “Safe and Sound” is imbued with an eerie, almost ethereal, texture thanks to an understated percussion part and a fluttery vocal performance. This one is beautiful. It’s possible that no song better exemplifies Taylor’s strengths than “Enchanted” (which was also the working title of the album). Through little sketches, Swift’s lyrics paint the picture of a budding crush. The song has a genuine flow, beginning with little images of a friendly exchange and building to longing professions (“please don’t be in love with someone else…”). The tune and production capture romantic magic like lightning in a bottle, leaving us just as “wonderstruck” as Taylor for all six minutes. “Treacherous” is a tale of two songs. The first half of it is turgid, as two minutes feel almost twice that long thanks to a dull chorus. But Taylor’s passion crescendos, and she releases it all in a stunning bridge that might be my favorite part of any TS track. The euphonious “two headlights shine…” sections, plus the beautiful lyrics, elevate “Treacherous” to one of Taylor’s best. It saddens me to know that this side of Taylor is probably gone forever and we’ll never get another song from her quite like “Fifteen” — a chronicle of an ordinary, confused teenager. Taylor brings “Fifteen” to life with an evocative vocal part and a heartfelt chorus. It’s almost enough to make you forget how much the verse about Abigail “giving everything away” makes you blush. For all the songs like “Style,” “Treacherous,” and “Sparks Fly,” there occasionally needs to be a “Dear John” — a look back on an affair with a bad boy after it all goes wrong. It’s Swift’s longest song, a swirling diatribe against her cruel ex. Swift alternates the blame between herself and “John,” all the while piling on her most wounded and scathing lyrics. By the end, your heart is beating and your mind is reeling at how deeply felt this song is. The tune is catchy — a nice throwback to her country roots — but also repetitive. The lyrics are a dud, too: Taylor strikes back against the media that she claims picks on her, but she makes it neither sympathetic nor fierce nor funny. It all feels a bit toothless and soft. A forgettable throwaway. This is the type of song that Taylor makes sound effortless: So tender it’s downright cuddly. If the track doesn’t make you swoon, the music video surely will, as it underscores the key attraction of the tune: The enthusiastic, childlike view of romance. The feeling sweeps over you, making you feel the same “butterflies, the beautiful kind” that Taylor does. In lesser hands, “Everything Has Changed” would be cloying; in Taylor’s (with some help from Ed), it’s triumphant. “Speak Now” is all sorts of creative. It starts with the catchy composition: Most of the instrumental parts are syncopated — especially the drums and guitar — giving the song an off-kilter, unique energy. This is particularly true of the snare drum that propels the joyous chorus. The lyrics are also refreshing and original: Swift turns wedding cliches on their heads, depicting the bride and ceremony as poisoned honey. And there’s just a moment-to-moment enthusiasm about the song: from Taylor’s longing sigh when she sings the chorus, to the goofy lines about “death marches” and a “dress shaped like a pastry,” to the heavenly moment of silence before Taylor finally “speaks now,” everything here is wonderful. Taylor Swift wrote “Our Song” in 2004 as a freshman and performed it at her high school talent show when she was fourteen. More than a decade later, it remains a microcosm of what makes her so appealing as a songwriter and performer: Using her pen and her voice, she paints a scene. She uses little images and flourishes — in this case, not having “our song” with her boyfriend — to capture something larger — in this case, the thrill of new love. She builds this around a sturdy pop composition and illuminates it with an engaging vocal part and a production that emphasizes her dynamic voice. But, like so many of the great songs that followed it, “Our Song” is more than the sum of its ingredients; full of charisma and passion, it wraps us up in an emotional experience. “Our Song” may be the first song she ever wrote that reached the ears of millions. It’s certainly one of her finest. I just think this is the perfect pop song: It tells a universal yet personal story of unrequited love with a hook-loaded composition and production that’s just right. Taylor’ fills the song with characters that are vague enough to allow anyone to relate, or at least reminisce: We all have days where we’re “sneakers” in a world filled with “high heels.” The melody is aces, and the craft is professional — unusually so for the somewhat raw Fearless. But it really comes down to a few simple but uncommon truths: “You Belong with Me” is sweet and passionate and affectionate and good. The listeners who were in high school when “You Belong With Me” debuted are just now entering a jaded adult world, and it’s nice to have a reminder that simple goodness like this will always exists. A blazing ballad retracing the steps of a busted relationship, “All Too Well” is also so much more: It’s Taylor Swift finally reaching her potential as a songwriter. Her tried-and-true trick of using little details to convey an emotion has never been more effective: From refrigerator lights, to photo albums, to crumpled paper, to discarded scarves, she transmutes the ordinary into a piece of extraordinary drama. Steadily building from spare country to pulsing rock (and winding back down), the song bears a gravity unique among Swift’s discography to match the superior lyrics. It’s not a blockbuster single, but “All Too Well” is Taylor’s tour de force. Yeah I like Taylor Swift song especially Everything has Changed!